Category: Books, Self Help & Personal Development, Spiritual Thought and Practice, Yoga and Meditation Tags: meditation, mindfulness, science and spirituality, Tamara Russell​. This, the sixth title in a new series of fresh, accessible mind, body, spirit guides, explores the fascinating art of mindfulness, reframing what the term really means, how and why it has become so popular and the mind-blowing power it has to enhance our lives in all kinds of amazing ways. Due to the recent widespread media coverage on the far-reaching health benefits of mindfulness, misconceptions about the practice have become common as it has moved from spiritual to secular realms. So what is the reality? And how can this one thing have such a dramatic impact on so many people, in so many areas of their lives? This book aims to demystify the confusions that often get in the way of mindfulness training, and help readers get to grips with it in a way they can put to optimal use in their daily lives. 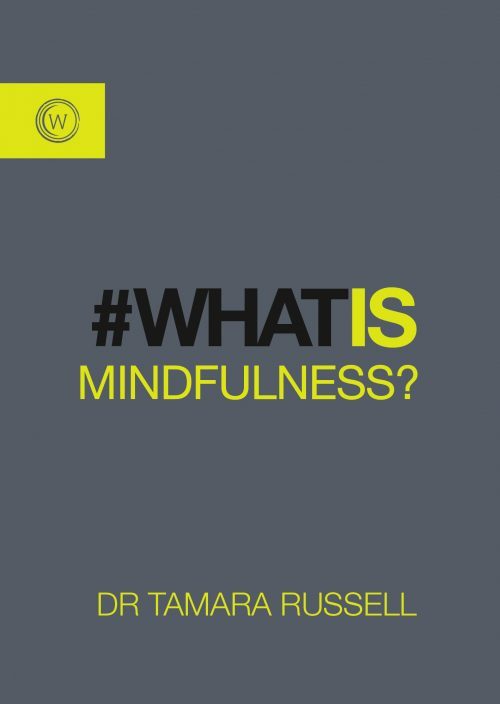 After an insightful introduction about why the subject of mindfulness is so worth exploring, each chapter then addresses a key question: What does mindfulness really mean and what are its benefits? How does it actually work? Where does mindfulness come from and how has it developed through the years? How can I get the most from it? What are the key tools to develop it? And finally, what are the future possibilities for society as a whole with mindfulness? As such, this book brings readers on an exploratory journey through the fascinating world of mindfulness, giving us a deeper understanding of what it means to live mindfully, revealing the depth of its capacity to enhance our everyday lives, and in turn helping us to lead more connected, aware and contented lives.